For more than 100 years Purina Mills has been helping people raise poultry. In fact, poultry feeds were among the very first products we sold. 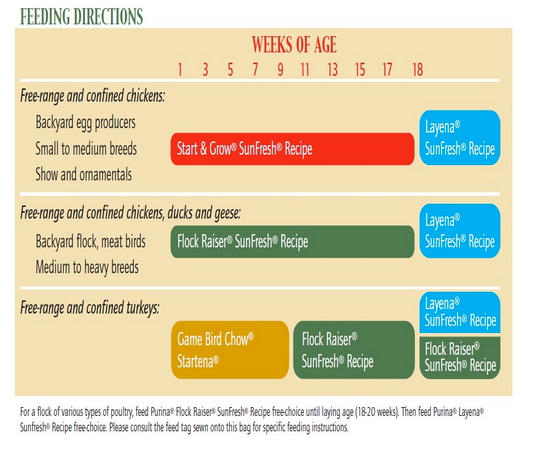 For fresh eggs to farm-raised chickens, you can count on Purina to provide products that will help ensure the health and well-being of your flock. This entry was posted on Thursday, May 15th, 2014 at 12:11 pm	and is filed under News & Updates. You can follow any responses to this entry through the RSS 2.0 feed. Both comments and pings are currently closed.